Selena Gomez played the ‘Newly Friend Game’ with Lilly Singh, the YouTube star and a self-proclaimed huge SelGo fan. She chose Kill ‘Em with Kindness’ from Revival as her favorite and was in a dilemma to choose between ‘Bad Blood’ and ‘Wildest Dreams’ from Taylor Swift’s repertoire and ended up choosing both. Lilly Singh invited Selena Gomez to play a round of the ‘Newly Friend Game’ in her YouTube channel, which has over 6.8 million subscribers. The game involves friends answering questions about themselves; however, they need to guess what the other person’s answer was before giving their own response. Selena Gomez had just met Lilly Singh; the latter being a huge fan of the former was at an advantage during the game as the YouTube star whispered into the camera that she knows all about the ‘The Heart Wants what it Wants’ singer. On being asked to name her favorite number from her latest album, ‘Revival’, Selena Gomez chose ‘Kill ’Em with Kindness’. Lilly Singh also chose the same song as she thought that ‘lyrics-wise’, this was one of her best. Singh observed, ‘I feel like this is one of your mantras to deal with a lot of stressful times in your life and I feel like you have tweeted it twice’. On being asked to choose her favorite Taylor Swift, she was stumped and said that it was so hard to choose her favorite from among her BFF’s songs. Finally, she opted for two including ‘Bad Blood’ (she features in the video) and Swift’s latest number ‘Wildest Dreams’. The YouTube star too named ‘Wildest Dreams’ as her favorite. Other aspects about Gomez and Singh that were revealed during the game included: Gomez was very bad at responding to text messages; Singh is ‘the worst in relationships’, the most awful rumor that SelGo has heard about herself is ‘every single one’. 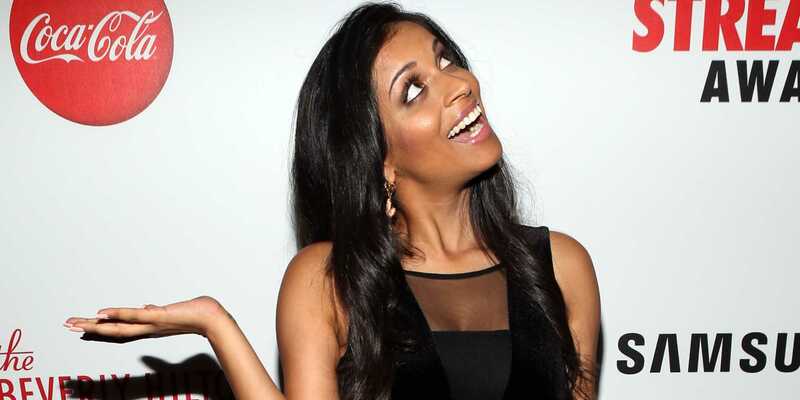 Towards the end of the game, Gomez felt her hand through Lilly Singh’s luscious hair to ensure that is real and adds a joking comment, ‘Mine, however, is very fake’.